Now when the king was settled in his house, and the LORD had given him rest from all his enemies around him, the king said to the prophet Nathan, "See now, I am living in a house of cedar, but the ark of God stays in a tent." Nathan said to the king, "Go, do all that you have in mind; for the LORD is with you." But that same night the word of the LORD came to Nathan: Go and tell my servant David: Thus says the LORD: Are you the one to build me a house to live in? I have not lived in a house since the day I brought up the people of Israel from Egypt to this day, but I have been moving about in a tent and a tabernacle. Wherever I have moved about among all the people of Israel, did I ever speak a word with any of the tribal leaders of Israel, whom I commanded to shepherd my people Israel, saying, "Why have you not built me a house of cedar?" Now therefore thus you shall say to my servant David: Thus says the LORD of hosts: I took you from the pasture, from following the sheep to be prince over my people Israel; and I have been with you wherever you went, and have cut off all your enemies from before you; and I will make for you a great name, like the name of the great ones of the earth. And I will appoint a place for my people Israel and will plant them, so that they may live in their own place, and be disturbed no more; and evildoers shall afflict them no more, as formerly, from the time that I appointed judges over my people Israel; and I will give you rest from all your enemies. Moreover the LORD declares to you that the LORD will make you a house. Your house and your kingdom shall be made sure forever before me; your throne shall be established forever. 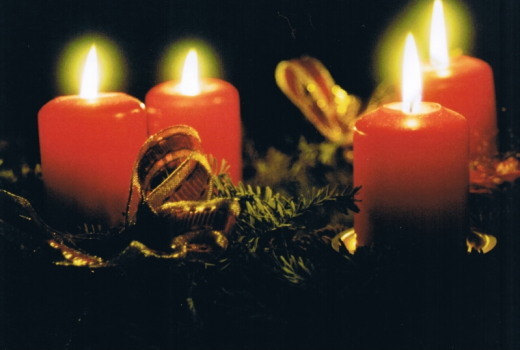 Loving God, Help us remember the birth of Jesus, that we may share in the song of the angels, the gladness of the shepherds, and worship of the wise men. One grim winter day in 1754, Horace Walpole was reading a Persian fairy tale called “The Three Princes of Serendip.” The story touched him, and writing to his friend Horace Mann, he told of the thrilling approach to life he had discovered from the tale. 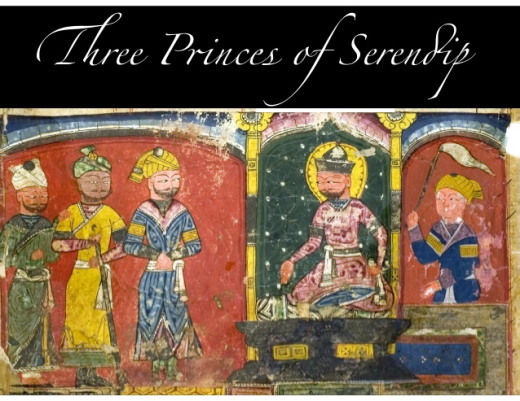 The ancient story told of three princes from the island of Ceylon, which was originally called Serendip, who set out on a pursuit of great treasures. The princes never found what they searched for, but en route they were continually surprised by unanticipated delights. While looking for one thing, they found another. Using the original name of the island, Serendip, Walpole coined the word serendipity. From that day on, Walpole’s most significant and valuable experiences were those that happened to him when he least expected them. Serendipity occurs when something beautiful breaks into the normal routine of our lives, bringing new vitality and joy. It is all so totally unexpected, and because of it, life would never be the same again. Our God is a god of serendipities, doing new things, often at times when we least expect them. Our lives might be in a rut or we might be frustrated and worn out from some difficult turns our lives may have taken. Then suddenly, often quite unexpectedly, a new thing happens, and it changes our lives forever. In today’s first lesson and gospel, we learn of God’s serendipity. We learn that God’s ways are not our ways. As Christians reading these ancient biblical texts centuries after the fact; we bow in awe at how God works in ways that humans do not understand or expect. I’m sure if David were with us again in our age and we were to interview him; he’d be profoundly baffled and amazed by the manner in which God worked to fulfill the promise that David’s house, kingdom and throne would be forever! Most likely the prophet Nathan, who spoke those words of the LORD to David, would also be rather surprised at how God worked to fulfill that ancient promise. Then there’s Mary in today’s gospel. This young woman--most likely a teenager at the time of the Annunciation--Mary, living out in small town Nazareth, betrothed (engaged) to Joseph the carpenter; is totally taken by surprise, as God’s messenger Gabriel speaks directly to her one day. The messenger shocks her nearly to death by telling her that she is God’s favoured one; she is going to give birth to the Messiah; she is going to name him Jesus (in Hebrew, Joshua or Jeshua, meaning “God will save”)! If we were to interview Mary today, and ask her whether this was part of her plan; whether she was expecting such a visitor, with such a message, do you think, for even one second, that she’d answer us with a “Yes”? I DON’T THINK SO! Mary, like Nathan the prophet and David centuries before her, came to realise and learn that GOD’S WAYS ARE NOT OUR WAYS. When God revealed the ancient prophecy to Nathan and David, God did not have in mind a literal house, kingdom and throne of David! God did not mean political, economic, social wealth, power and status. Historically, David’s successors did not last that long; they were vulnerable to the worldly powers of the ancient Near East; losing their house, kingdom and throne; either put to death; or captured and taken into exile to live and die as slaves or at best servants of their enemies. God’s ancient prophecy would not be fulfilled completely in David’s time or during the time of his children or grandchildren. Rather, the ancient prophecy was a reference to God’s Messiah, who would come into the world at God’s appointed time in history centuries later; when Jesus the son of Mary and Joseph was born; would grow up in small town Nazareth; would be baptized by cousin John; would then begin his earthly ministry of teaching, preaching and healing; would then lay down his life on the cross for all of humankind (past, present, and future); would be raised by God from death; would then rule over heaven and earth as the King of kings and Lord of lords forever. What a surprise that was to Mary! What a surprise that is even to us today! God’s ways are not our ways! Wow, what a surprise! Do we expect it? Do we believe it? Do we trust that God’s ancient promise is true? Thanks to God’s messenger, the Holy Spirit, by the grace of God, yes, we do! That’s one reason why we’re here today, is it not? But what of God’s ways not being the same as our ways? Have there not been times and situations in our lives too like Nathan and David and Mary? I know there have been in my life. For example, if someone had asked me a couple of years ago if I would be the chaplain at South Ridge Village and the pastor of Grace Lutheran; I’d likely have answered them in the negative, and say something like: “I don’t think so.” Or at best, I’d have said: “That’s news to me!” God’s ways are not our ways. God calls the strangest people; speaks the most surprising messages to them; and asks them to do the most unexpected things. At first, we, like Mary, tend to respond by being perplexed; by becoming overwhelmed or afraid. We, like Mary, may also be sceptical: “How can this be, since I’m a virgin?” Or we, again perhaps like Mary, may wish God would not choose us for such an unplanned, surprising future. After all, we are “creatures of habit,” some of us schedule our lives to the nth degree, and take great delight in it; giving us a sense of control and self-worth! But still, even today, God’s ways are not our ways. He has special plans for each one of us--including you and me! Why shouldn’t we be afraid? God answers again to reassure us: “The Lord is with you.” Even if God calls us to this unexpected, surprising future, can we, like Mary do what he wants us to do? Once again, God’s messenger reassures us: “For nothing will be impossible with God.” So, dear brothers and sisters in Christ, learn to expect great and wonderful things from the Lord. Learn too, that your future is well planned and taken care of by our God. For Christ shall reign in our hearts, minds and lives now and forever! Thanks be to God! Luke 2:16-20 (NIV) So they hurried off and found Mary and Joseph, and the baby, who was lying in the manger. When they had seen him, they spread the word concerning what had been told them about this child, and all who heard it were amazed at what the shepherds said to them. But Mary treasured up all these things and pondered them in her heart. The shepherds returned, glorifying and praising God for all the things they had heard and seen, which were just as they had been told. The nativity provides inspiration to Christians around the world during the Christmas season because it represents the foundation of our religion. The nativity scene is also a time for followers of Christ to show the secular world the true meaning of Christmas which is the birth of Christ. The displaying of a nativity is also known as a crèche, manager, or crib. It is a scene with figurines and sometimes live characters portraying the birth of Jesus, and are commonly displayed in churches, public squares, and shopping malls during the Christmas season. The nativity scene usually exhibits the infant Jesus, his mother Mary, and his father Joseph. Often times it has shepherds, sheep, and angels displayed near the manger. A donkey and ox are also frequently used in the nativity scene. The display repeatedly includes the “wise men” along with the camels that belong to the “wise men”. Following the ritual of Saint Francis of Assisi other countries began to realize the importance of proclaiming the birth of Jesus, therefore other countries began their own tradition of nativity scenes. According to Wikipedia, an example of the different nativity is: Provence's are small terracotta nativity's “hand-painted santons (little saint)”. During Christmas week as Christians all over the world observe the birth of Jesus Christ, many of us have an annual tradition of displaying a special nativity scene inside our home or possibly in our yard. The nativity may be very old, or new; the same message is conveyed to everyone who gazes upon it, and that is a reminder of the birth of Jesus. As the secular world continues to try to take Christ out of Christmas, it is ever more important for a Christian to continue to announce to the world about the “babe in Bethlehem” just as Saint Francis Assisi did in 1223 A.D. to the villagers in Greccio, Italy. Lord God, thank You for sending Your Son to us. Please help us during this Christmas season to reflect Him in all our ways. Amen. 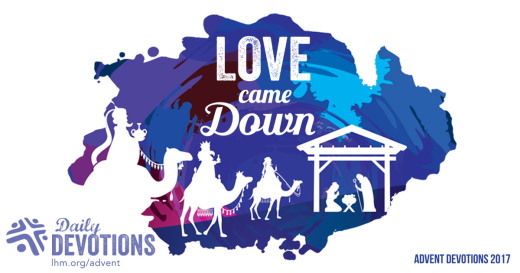 The nativity provides inspiration to Christians around the world during the Christmas season. Jesús les habló, diciendo: Yo soy la luz del mundo; el que me sigue, no andará en tinieblas, sino que tendrá la luz de la vida. Para muchos, hoy estamos de fiesta, ya que se prepara la celebración de la llegada del Salvador a la tierra. El nacimiento del niño Jesús es el cumplimiento de la Palabra de Dios. Por décadas, esta verdadera celebración se ha tratado de opacar con el comercio, las fiestas y muchas otras cosas. Y esto no cambiará. Yo celebro también la Navidad con mis princesas, mi esposo y mi familia, pero hay un tiempo que es precioso. Siempre tenemos un momento especial de oración donde ponemos nuestra vida en las manos de Dios. Además, cada uno le damos gracias por las cosas que Él ha hecho y por ese regalo hermoso que podemos compartir con otros, al revelarles esta verdad que les traerá salvación y vida eterna. Si Jesús vino para cambiar el mundo, aprovechemos esta ocasión para también nosotros nacer de nuevo. Hablo desde el punto de vista espiritual. Así que, no luches más y entrégale tu vida a Dios para que Él pueda cumplir su propósito en ti. De esa manera, logrará ser una mejor persona. Recuerda, la Navidad no es solo fiestas y regalos. Por eso el mejor regalo que le puedes dar a tu familia es tu cambio. Sin duda, esto producirá un deseo en ellos por conocer lo que te hizo cambiar y la gloria será para Dios. In late 1992, “Wally” Magdangal, a Filipino Christian who for years had pastored a clandestine house church in Saudi Arabia, was arrested. His secret house church was unexpectedly penetrated by the “mutawwa”, the Saudi Arabian religious police. RESPONSE: Today I will thank the Lord that He still works miracles today, here and around the world. PRAYER: Pray for persecuted Christians who may be in prison today awaiting their miraculous release. Pray they will also be encouraged by the intimate presence of Jesus, Himself. LHM Advent Devotion - December 24, 2017 "THE RIGHT TIME"
"The time came." Every pregnant woman knows the weight of this expression. From the beginning of the pregnancy, we are always waiting, counting-when will the baby be due? When will the morning sickness end? When will we see the baby on ultrasound? And most of all, right at the end, how many more days am I going to have to carry this heavy baby around!? But the time did finally come for Mary to give birth. Humanly speaking, it was the worst time possible-far from home, away from family, sheltering among animals, reduced to using a feedbox for a cradle. No doubt Mary and Joseph would have preferred something better. But God the Father chose this particular time and place for His Son to enter the world. Looking back, we can see why-this is the Savior who came "not to be served but to serve, and to give His life as a ransom for many" (Matthew 20:28b). The time came. But with that, a new time of waiting began. As an adult, Jesus said several times, "My time has not yet come" (John 7:6, 8:20; Matthew 26:18; John 2:4). And what time is this? The time He would suffer and die to redeem us all, so that we could be freed from sin and become children of God. It was for this time that Jesus came into the world-to rescue us, to redeem us, to raise us to new and everlasting life through the power of His own resurrection. Paul tells us, "For while we were still weak, at the right time Christ died for the ungodly. For one will scarcely die for a righteous person-though perhaps for a good person one would dare even to die-but God shows His love for us in that while we were still sinners, Christ died for us" (Romans 5:6-8). That tiny baby has become our Redeemer and Savior. Today is the right time for us to trust in Him. 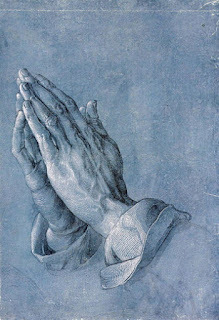 THE PRAYER: Lord Jesus, thank You for Your kindness to us, being born into our world and suffering and dying and rising, all at the right time for us. Keep us with You forever. Amen. "The time came." Every pregnant woman knows the weight of this expression. Devociones de Adviento de 24 de Diciembre de 2017 "En el tiempo preciso"
Y mientras ellos se encontraban allí, se cumplió el tiempo de que ella diera a luz. "Se cumplió el tiempo." Toda mujer que ha tenido hijos sabe cuánto pesa esa expresión. Desde el comienzo del embarazo, las mujeres esperamos y contamos. ¿Cuándo va a nacer nuestro hijo? ¿Cuándo terminarán las náuseas? ¿Cuándo veré a mi bebé en el ultrasonido? Y, ya hacia el final del embarazo, ¿CUÁNTOS DÍAS MÁS TENDRÉ QUE SEGUIR ANDANDO CON ESTA SEMEJANTE PANZA? Finalmente, a María le llegó el momento de dar a luz. Humanamente hablando, era el peor momento posible: lejos del hogar y de la familia, cobijada entre animales y teniendo que utilizar un pesebre como cuna. Sin lugar a dudas, María y José hubieran preferido algo mejor. Pero Dios el Padre eligió ese tiempo y lugar en particular para que su Hijo entrara en el mundo. Con lo que sabemos hoy, podemos ver por qué Jesús es el salvador que "no vino para ser servido, sino para servir y para dar su vida en rescate por muchos" (Mateo 20:28). Había llegado el momento. Pero a la vez comenzó un nuevo tiempo de espera. Durante su ministerio terrenal, Jesús varias veces dijo: "Mi tiempo aún no ha llegado" (Juan 7, 8:20; Mateo 26:18; Juan 2:4). ¿Qué tiempo? El tiempo en que habría de sufrir y morir para redimirnos a todos, liberarnos del pecado y hacernos hijos de Dios. Fue para ese momento que Jesús vino al mundo--para rescatarnos, redimirnos y resucitarnos a una vida nueva y eterna a través del poder de su propia resurrección. Pablo nos dice: "Porque a su debido tiempo, cuando aún éramos débiles, Cristo murió por los pecadores. Es difícil que alguien muera por un justo, aunque tal vez haya quien se atreva a morir por una persona buena. 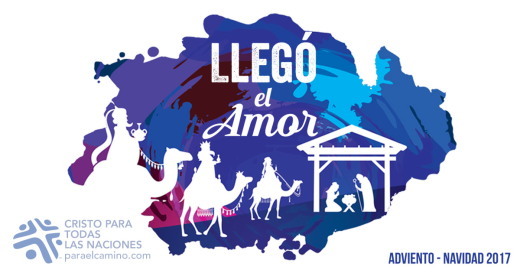 Pero Dios muestra su amor por nosotros en que, cuando aún éramos pecadores, Cristo murió por nosotros" (Romanos 5:6-8). Ese pequeño Niño se ha convertido en nuestro redentor y salvador. Hoy es el tiempo preciso para confiar en él. ORACIÓN: Señor Jesús, gracias por venir a este mundo a nacer, sufrir, morir y resucitar por nosotros en el tiempo preciso. Mantennos junto a ti hasta la eternidad. Amén.